In conjunction with the DCC Program — now the Andrea Mitchell Center for the Study of Democracy — the University of Pennsylvania Press established the Penn Press Series on Democracy, Citizenship, and Constitutionalism. Professor Rogers M. Smith, former Chair of the Executive Committee of the DCC Program, was Series Editor along with Mary L. Dudziak (Emory Law). View Table of Contents. Buy from Penn Press. Read Introduction. Buy from Penn Press. 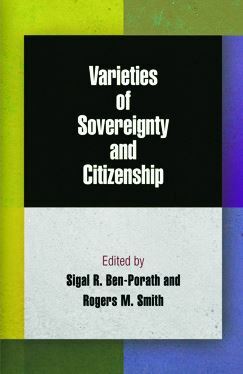 Varieties of Sovereignty and Citizenship (2012), edited by Sigal R. Ben-Porath and Rogers M. Smith. 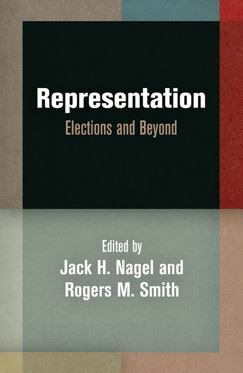 Representation: Elections and Beyond (2013), edited by Jack H. Nagel and Rogers M. Smith. The Supreme Court and the Idea of Constitutionalism (2009), edited by Steven Kautz, Arthur Melzer, Jerry Weinberger, and M. Richard Zinman. Defining the Sovereign Community: The Czech and Slovak Republics (2009), by Nadya Nedelsky. Truth and Democracy (2012), edited by Jeremy Elkins and Andrew Norris. Building Fortress Europe: The Polish-Ukrainian Frontier (2012), by Karolina S. Follis. The Sovereign Citizen: Denaturalization and the Origins of the American Republic (2012), by Patrick Weil. Take Up Your Pen: Unilateral Presidential Directives in American Politics (2013), by Graham G. Dodds. Read Chapter One. Buy from Penn Press. 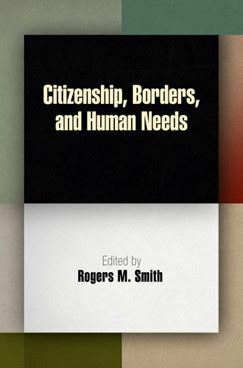 Multilevel Citizenship (2013), edited by Willem Maas. Citizenship and the Origins of Women's History in the United States (2013), by Teresa Ann Murphy.